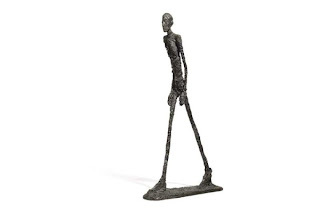 While expected to fetch $19-29million, the Alberto Giacometti sculpture "L'Homme Qui Marche I" sold a few minutes ago by Sotheby's (BID) in London for $104.3million, a new auction record, reported by the WSJ. 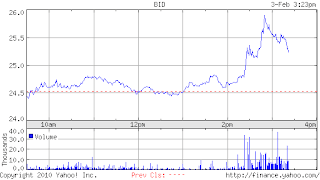 And the resulting impact on Sotheby's stock. In fairness, it certainly should trade up. Based on Sotheby's 12% take of the upside revenue from the sale, it could add 15cents in earnings per share to 2010's estimate of 55cents.